Celebrate this fun holiday in style! Ronald Reagan dubbed July national Ice Cream Month in 1984. Specifically, the third Sunday of the month is National Ice Cream Day, and that’s when proper ice cream celebrations take place. Why not celebrate every day of the month in fun, cool, and sweet ways? Or perhaps by putting a new ice cream charm on your Charm It bracelet? 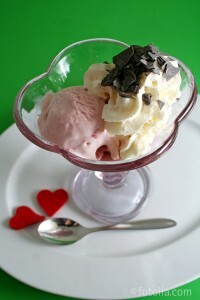 CoppinsGifts.com has a great recipe on how to make this sweet treat at home without an ice cream maker! Fill your large bowl half-way with ice and salt. Put the small bowl in ice, almost completely buried. Fill that bowl half-way with the ice cream mix you made. Beat this mixture for ten minutes with the hand mixer. The mix will not turn into ice cream immediately. If you’re using a whisk, beat for an extra five minutes. Remove from the freezer. Mix again for 5 minutes. Cover the top with plastic wrap, stick back into freezer for at least two hours. Who doesn’t love a good summer barbeque? At CoppinsGifts.com we have fun summer board games that you and your friends can play. 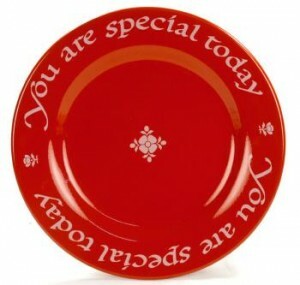 We also have a beautiful serving plate, the red You are Special plate that is a perfect gift or platter for you to serve finger foods on. If you’re in the mood for some summer entertaining, we have a few fun and easy recipes for you to try out on your guests! •	Bake at 350 degrees. Serve with butter and cinnamon sugar. •	Fill up plastic bag with your favorite yogurt. Cut one of the ends off of the bag and make small dots of yogurt on the cookie tray. Freeze for a half an hour. Peel yogurt dots off of the cookie tray and put into a bowl or cup for a sweet, refreshing treat! Do you have any more recipes for us? Leave us a comment below!